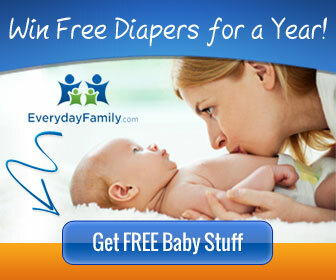 By registering with EverydayFamily.com you will receive stage based pregnancy and baby email newsletters, offers and weekly coupon alerts as well as access to free baby samples, baby coupons, baby magazines and more! Privacy Guarantee: All offers on this page have been carefully selected. Your email address will not be shared with anyone other than the people you have requested here. Requested offers are subject to meeting offer requirements and are fulfilled directly by the offer sponsor.